Grade B condition means the iPad is fully tested and works perfectly. Battery is still holding charge.It might have light scratch/minor dent. We would give it 7-8 out of 10 nothing major. 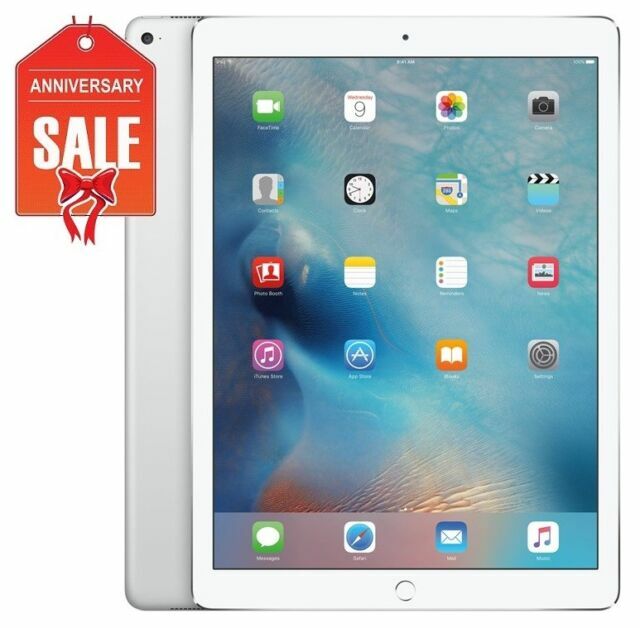 Versatile and easy to carry, this slim Apple iPad Pro ML3W2LL/A tablet can be connected to the Internet to download games, music, videos, eBooks and much more. Pick it up and carry it along wherever you go. An impressive 256 GB of storage capacity provides room to maintain work documents, e-books, favorite photos, and hours of music and videos. Equipped with the popular Apple iOS operating system, this tablet has over a million unique apps that are sure to impress. A great alternative to a bulky desktop, the tablet has a 12.9 in / 32.8 cm screen size that offers excellent resolution for viewing a wide range of digital material. The tablet's 2732 x 2048 pixel screen resolution ensures ease and comfort for reading and viewing of a range of digital publications. Easily enjoy two-way video calling with loved ones with the reliable front camera in this silver tablet. Enjoy convenience and ease of use with Wi-Fi + Cellular connectivity. This unlocked tablet allows users to connect to available networks safely and easily. This device is compatible with Sprint, AT&T, T-Mobile, Verizon, Boost Mobile, Straight Talk, U.S. Cellular Carriers. I am very happy with this Ipad. It was brand NEW without the original box, however, it still had the original plastic wrap and was never used. It came with all the accessories that the Ipad normally comes with, also unused. This is the only way I could afford this much Ipad for this low of a price. I am NOT willing to pay $1300.00 for an Ipad, but I will pay less than $700.00 for an Ipad with all these included features and I get this much value. Remember, You will likely pay for accessories like protective covers and Apple pencil, or a protective screen and Applecare which will add to the price by more than $400.00 on top of the $1300.00 price tag. So save a lot of money with this offer!! Great price for a depreciating item. Pleased. Replaced my MacBook Pro day 1!